JAKARTA, Mar 26 2015 (IPS) - When Indonesia’s law and human rights minister visited one of the country’s prisons in December last year, he met a Nigerian convict on death row for drug trafficking, who performed songs for him before leaving him with a parting gift. 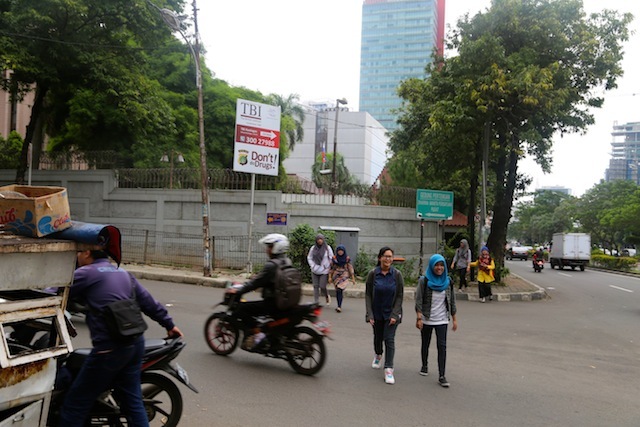 A month ago, at one of the weekly Christian services held at his ministry in the capital, Jakarta, a pastor came up to the minister to plea for some prisoners facing the death penalty. She brought up the Nigerian man Laoly had met last year, stressing that he had reformed, converted to Christianity and become a good person. “She asked me, ‘Why can’t you help?’,” explains the minister, who has also received an album of songs from the Nigerian death row inmate. “I told her that, psychologically, it bothers me, but I have to face the case,” Laoly tells IPS, adding that he “does not believe in capital punishment”. The government of this archipelago nation of 250 million people has a no-tolerance policy when it comes to drug trafficking and smuggling, and has no qualms about using the death penalty for such offenses. Just after midnight on Jan. 18, six drug convicts were executed by firing squad, the first imposition of capital punishment since President Joko ‘Jokowi’ Widodo took office last October. Another 10 drug convicts – citizens of Australia, France, Brazil, the Philippines, Ghana, Nigeria and Indonesia – are slated to be executed next, following their transfer to the island prison of Nusakambangan. Prior to Widodo’s presidential election victory last year, capital punishment in the archipelago had declined. Four people were executed in 2013 after a five-year hiatus and no capital sentences were carried out by the state in 2014. Still, there are currently 138 people – one-third of them foreigners – on death row, primarily for drug-related offenses. The government claims its hard-line stance has to do with the growing drug menace in Indonesia – at present, 45 percent of drugs in Southeast Asia flow through this country, making it the largest drug market in the region. Citing statistics from the country’s National Narcotics Board (BNN), Troels Vester, country manager of the United Nations Office on Drugs and Crime (UNODC) put the number of drug users at 5.6 million this year. Government statistics further indicate that drug abuse kills off some 40 Indonesians every day, a figure hotly disputed by local rights groups. Officials say that rampant drug use also fuels a demand for medical and health services, putting undue pressure on the government to expend public resources on treatment and counseling, HIV testing, and anti-retroviral therapy for those people living with HIV/AIDS. But the United Nations says that the use of the death penalty will not necessary reduce Indonesia’s drug woes, and has urged the country to stopper the practice of capital punishment in line with international law. Such efforts have so far failed to sway the president, or stay the country’s harsh hand of justice. 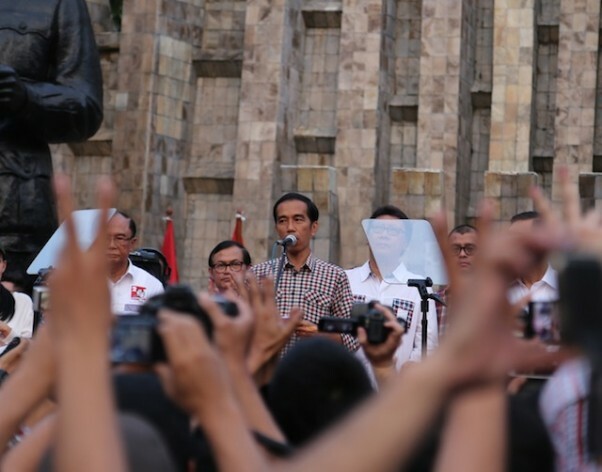 Widodo has also rejected political bids for clemency, including entreaties from foreign governments to spare the lives of their citizens; five of the six drug convicts executed in January were foreigners. In January, King Willem-Alexander of the Netherlands personally requested Widodo to pardon Dutch national Ang Kiem Soe – convicted of being involved in a scheme to produce 15,000 ecstasy pills a day – but Widodo was unmoved. Brazil and the Netherlands recalled their ambassadors from Jakarta after their nationals were executed in January, while Australia has been campaigning furiously to save two of its own citizens, with the country’s foreign minister, Julie Bishop, attempting an eleventh-hour prisoner swap, which was rejected. Widodo has met all such efforts with a simple answer: there will be “no compromise” on the issue. Human rights advocates like Amnesty International have slammed the Indonesian president’s “backwards” stance on capital punishment, accusing him of manipulating data to support his decisions. “He says that 40 to 50 people are dying every day from drugs, but where is that figure coming from?” asks Haris Azhar, coordinator of the Commission for Missing Persons and Victims of Violence (Kontras), adding that the president’s actions came as a surprise as he never shared his views on capital punishment during his campaign. “The hospitals, doctors and the health ministry aren’t giving us data. These figures are from the anti-drugs body BNN, but they have never been proven,” Azhar adds. Other activists like Hendardi, head of the Setara Institute, believe the president is using the death penalty to protect his image and regain public support following criticism over his government’s weak performance in law enforcement. While there has been no comprehensive nationwide poll to assess public opinion on, or popular support for, capital punishment, surveys conducted by the media suggest that some 75 percent of the population is in favour of death sentences, primarily for terrorism, corruption and narcotics charges. Death sentences are typically carried out by a firing squad comprised of 12 people, who shoot from a range of five to 10 metres. Prisoners are given the choice of standing or sitting, as well as whether to have their eyes covered by a blindfold, or their face concealed by a hood. Inmates are generally informed of their fate just 72 hours prior to execution, a practice that has been blasted by human rights groups. While the human rights minister admits that the death penalty may not solve all the country’s drug problems, he believes that a firm policy is the first step to preventing millions from falling “into ruin” at the hands of narcotics. UNODC estimates that there are 110,000 heroin addicts and 1.2 million users of crystalline methamphetamine in Indonesia. But experts like Azhar feel the problem cannot be ‘executed away’. Instead, the Kontras coordinator suggests the country adopt a humane approach to law enforcement. According to Amnesty International, some “140 countries have now abolished the death penalty. Indonesia has the opportunity to become the 141st country.” However, if the president’s resolve remains unchanged, this is unlikely to happen in the near future.